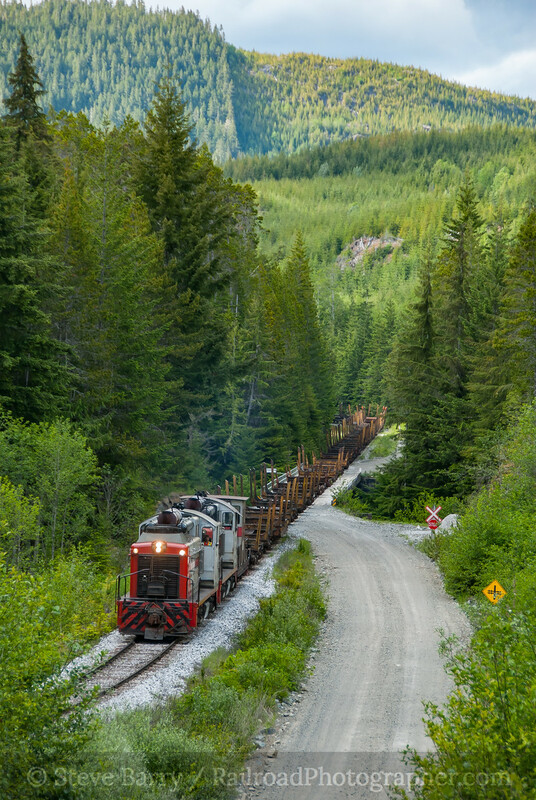 On November 7, 2017, Western Forest Products made it official. 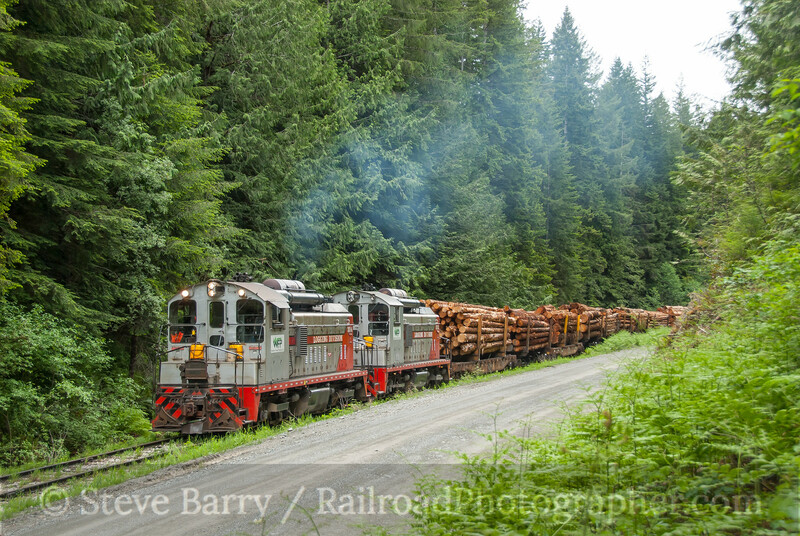 The company's Englewood Railway -- the last true logging railroad in North America -- would remain closed for good. 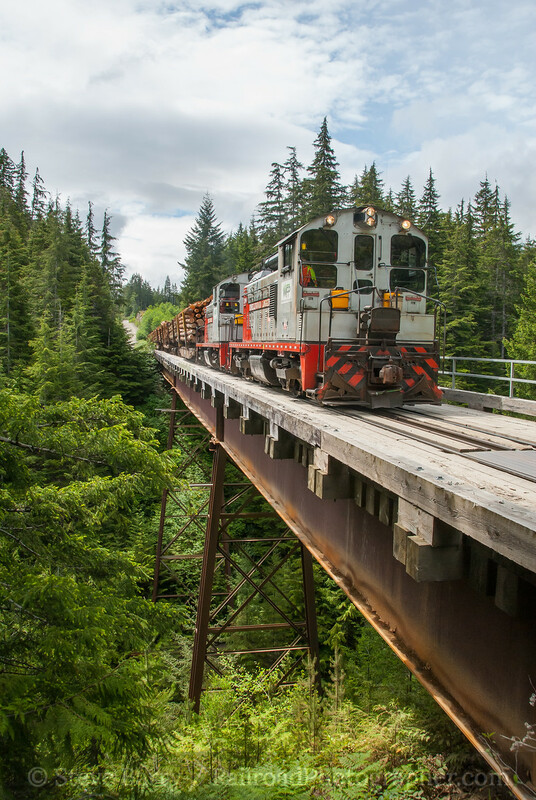 Located on Vancouver Island in British Columbia, the railroad has been shut down since April 21 following an accident that killed three employees. 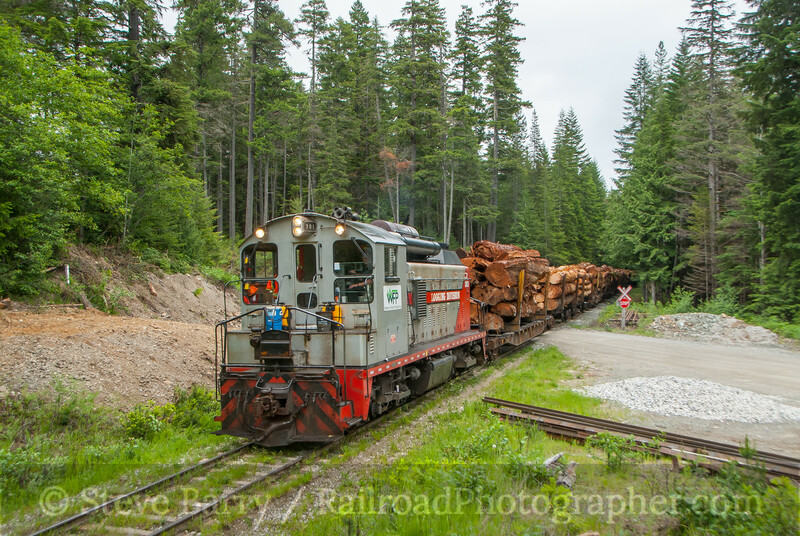 The Englewood Railway was built in 1917 to serve the growing logging industry around Beaver Cove, British Columbia, operated Beaver Cove Lumber & Pulp, Ltd. 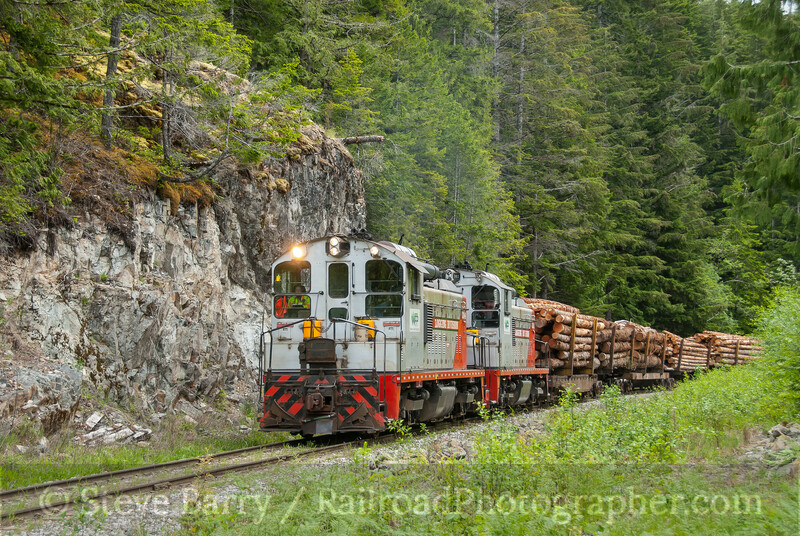 The railroad was constructed by a new company to the region, Wood & English, which established its own logging community across the Nimpkish River from Beaver Cove. This new community was called Englewood (a combination of the words Wood and English). Wood & English ran its timber operations until 1941, when the mill was closed. 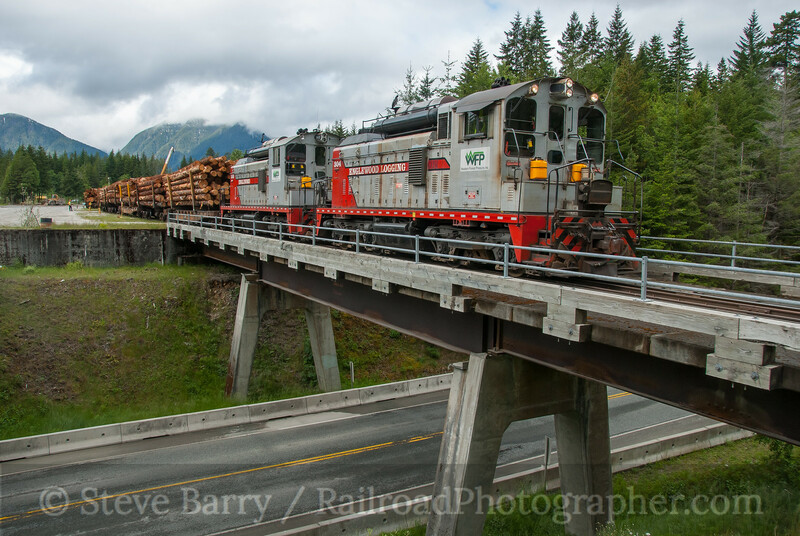 In 1944, Canadian Forest Products (Canfor) acquired the logging interests in the Nimpkish Valley and established a new headquarters near the town of Woss. 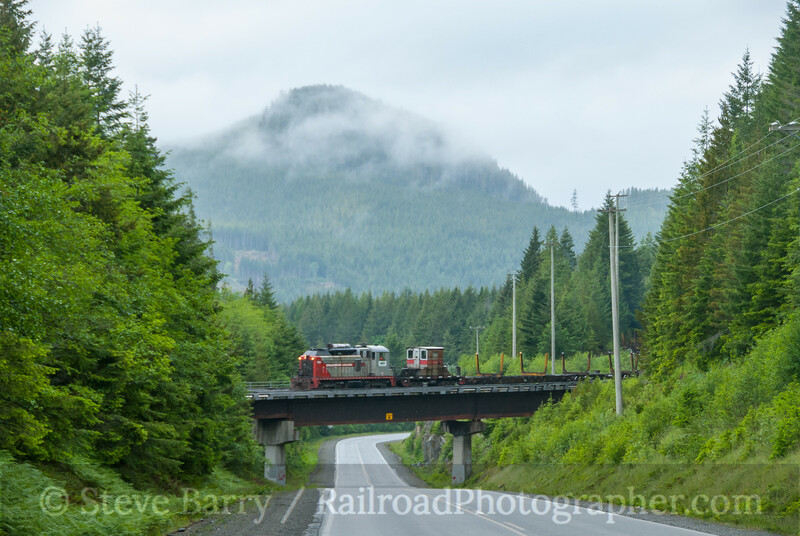 By 1948, the railroad had been extended 24 miles from Beaver Cove to Woss. 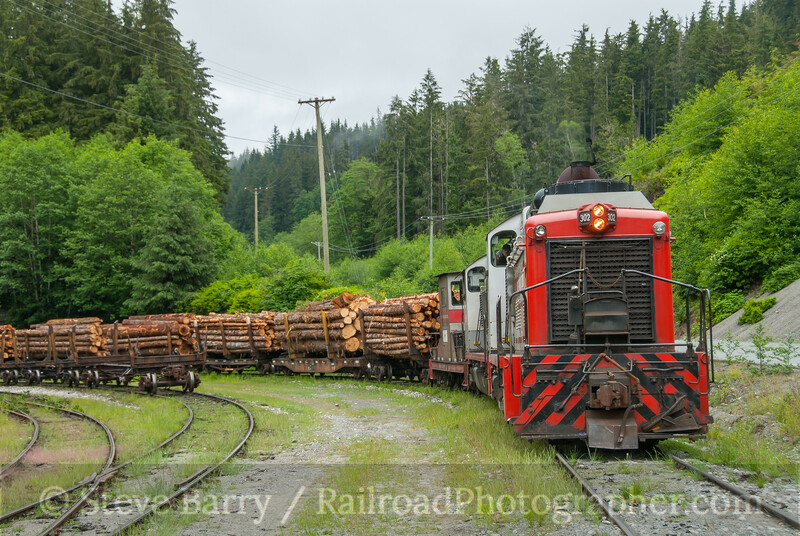 Under Canfor, logs were brought out of the forest by truck and loaded onto railcars for the journey to Woss. 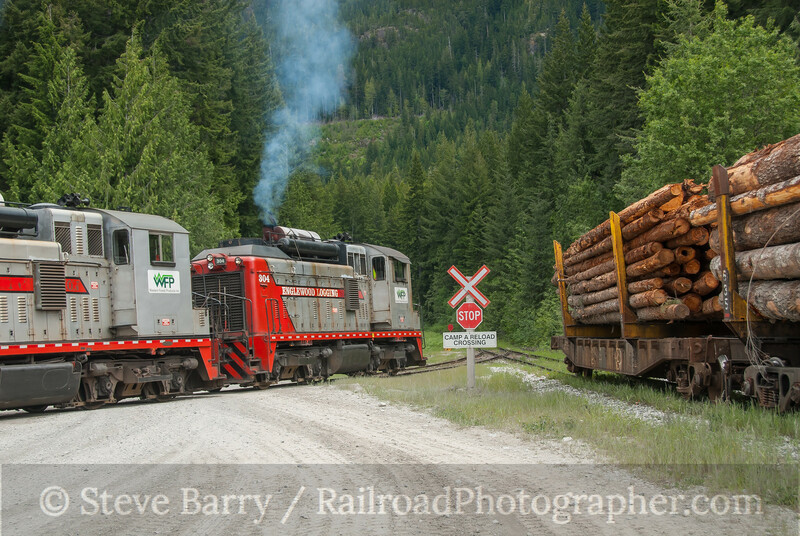 At Woss, the logs were dumped into Woss Lake and floated on the next part of their journey. 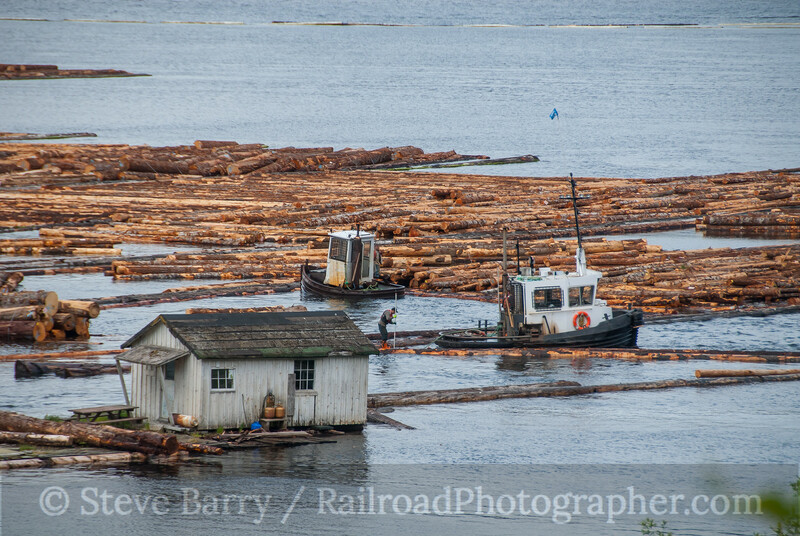 A small flotilla of boats were used to herd the logs on Woss Lake. 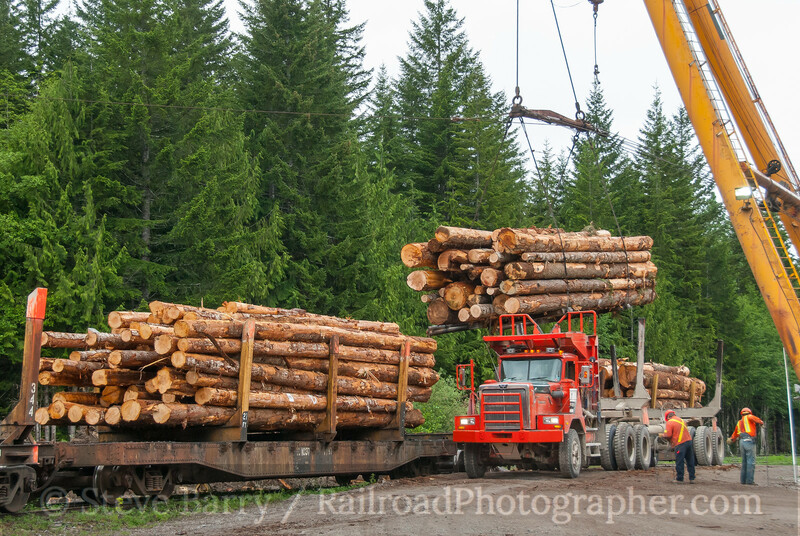 The rail line and logging operations were purchased by Western Forest Products in 2006. 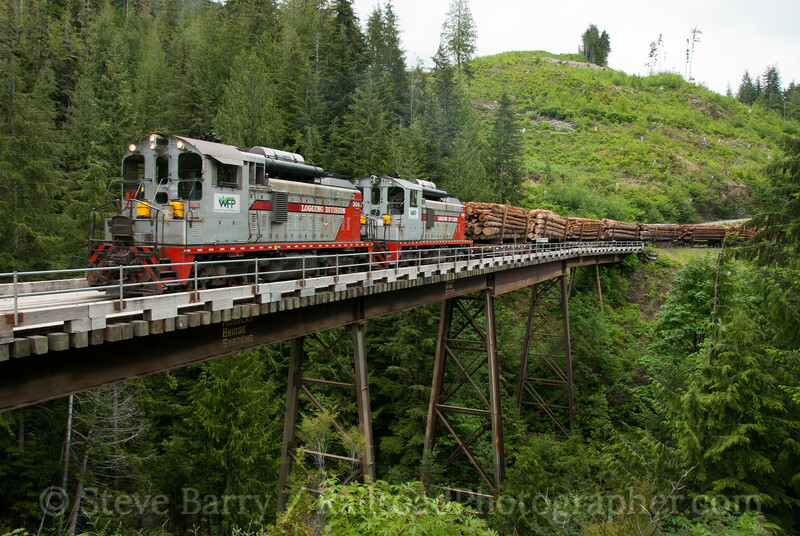 Following the purchase, many of the old timber trestles on the railroad were replaced by new steel structures. On April 20, 2017, a train being loaded rolled away on its own and crashed into a railroad maintenance vehicle. Three employees were killed in the accident, and two others were injured. 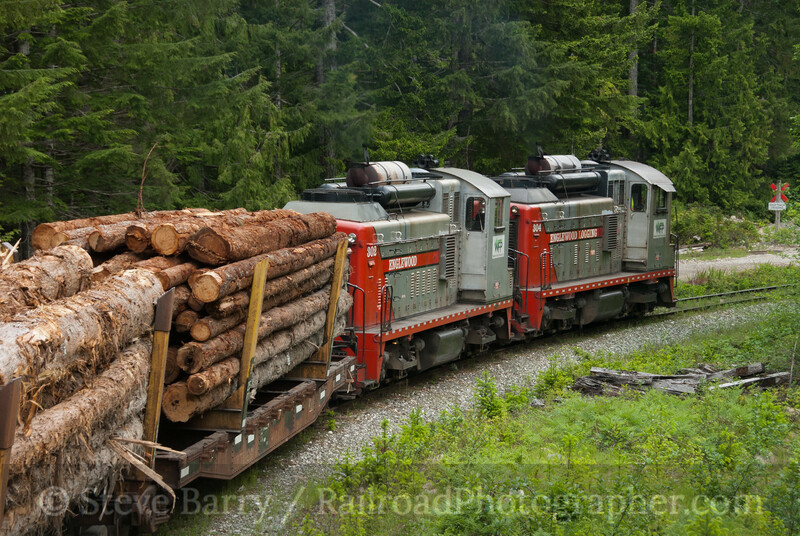 Rail operations were immediately suspended, with logs moving from the forest all the way to Woss via trucks. 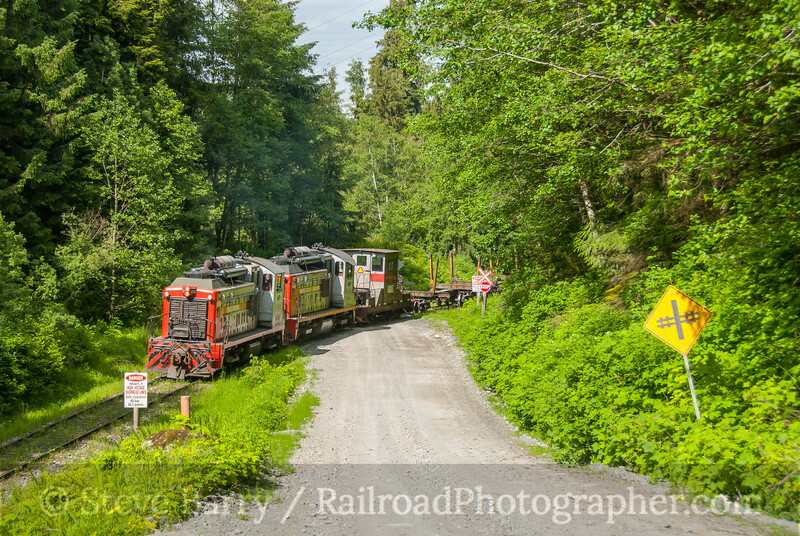 The railroad used a small fleet of four EMD SW1200 switcher locomotives, three of which had been re-engined with Caterpillar power plants. The fourth retains its EMD prime mover. 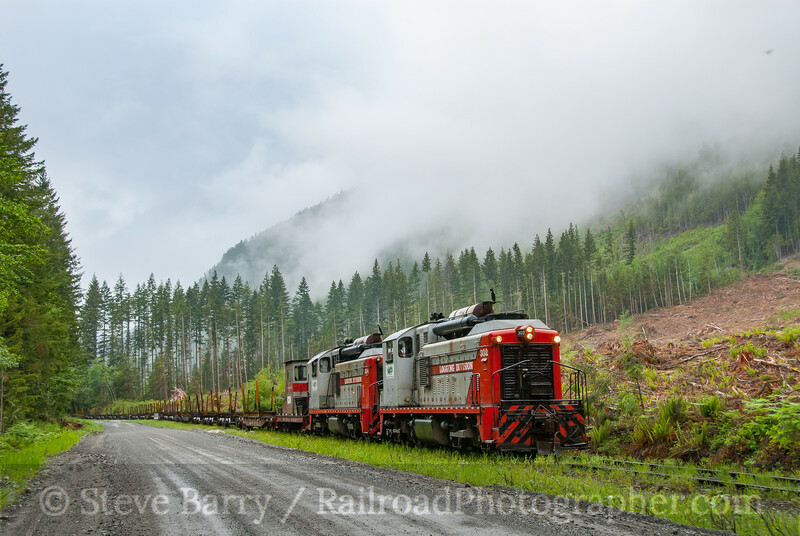 Like every logging railroad in history, nothing was thrown away -- every part that could be found was put into storage because "we might be able to use that someday." Over the years, the SW1200s were heavily modified. 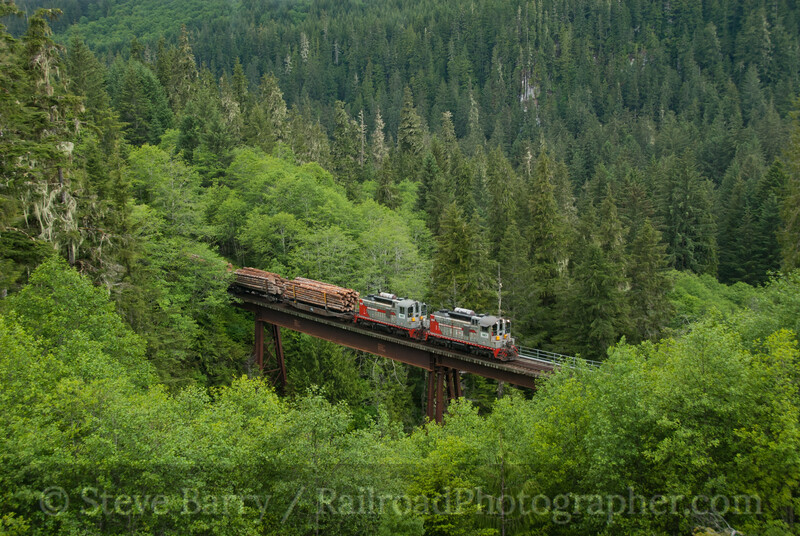 The railroad was quite isolated, and you really had to want to go there to find it. But if you made the trek, you found the employees were quite friendly. Once you checked into the yard office at Woss, you were issued a hard hat. 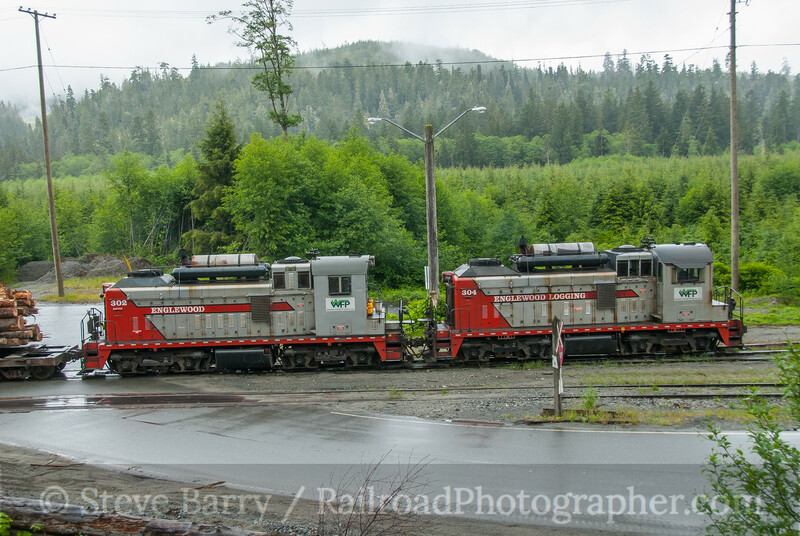 This was your pass to access all areas along the railroad, including the loadouts. My visit was in June 2011, and all the images in this post are from that visit. 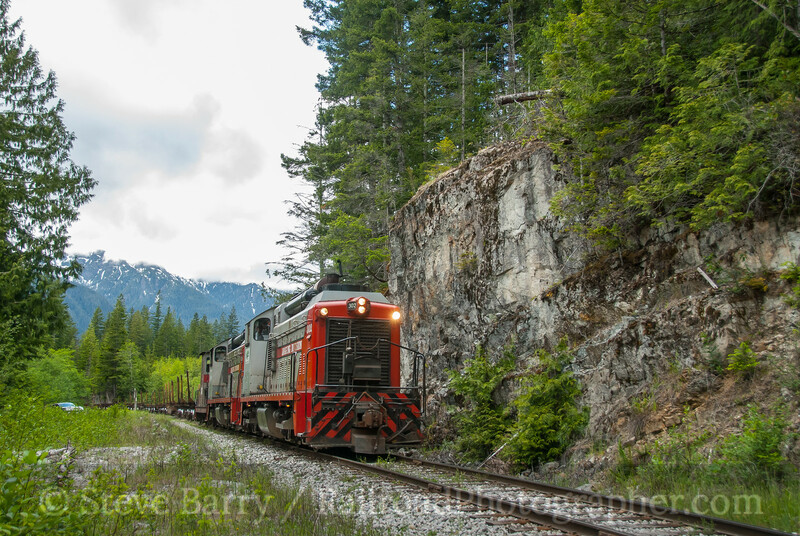 Upon checking in, we were also loaned two large maps that showed all the logging roads in the area, making finding photo locations much easier. 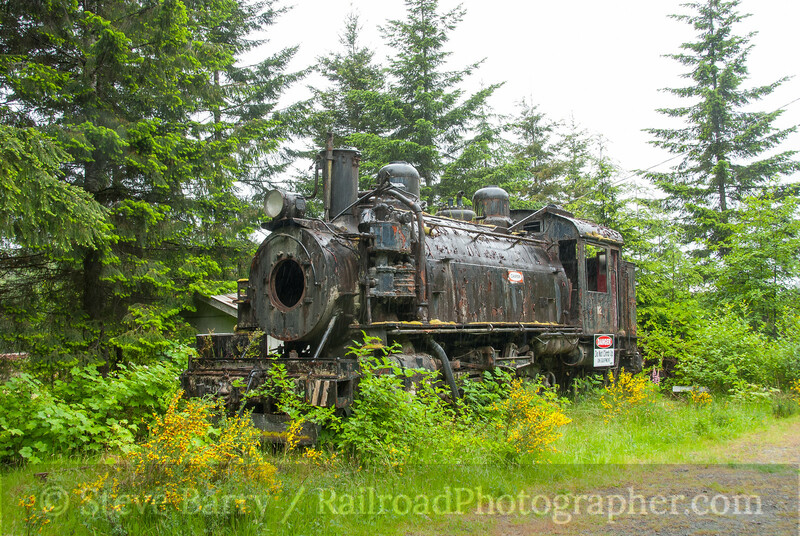 A relic from the past, steam locomotive No. 12, was located near Woss. Reportedly, it has been cosmetically restored since my trip in 2011. 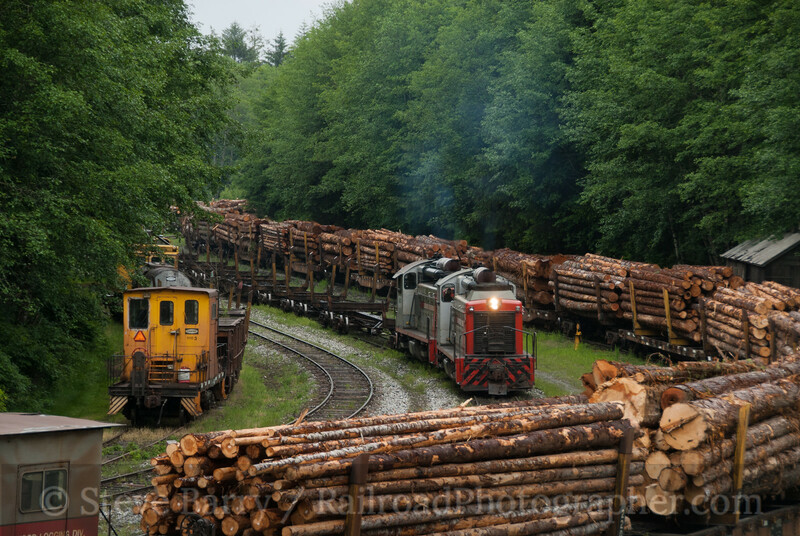 The last logging railroad lasted for almost exactly 100 years. 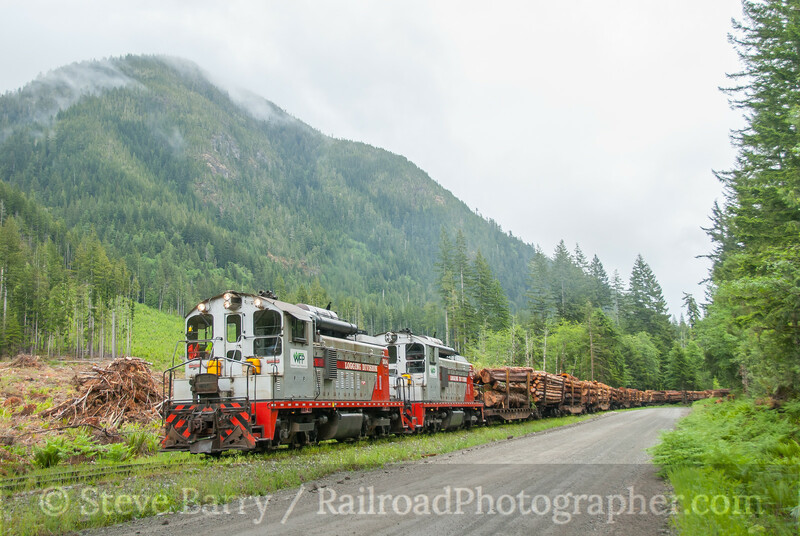 With the closing of the line, the last true logging railroad in North America passes into the history books, ending another era of railroading.